Approximately two million individuals serving in America's all-volunteer force have been deployed to Iraq and Afghanistan over the past decade. In 2005, RAND began an ongoing research program to investigate the effects of deployment on those troops and their families. This paper summarizes six of RAND's earliest studies on various aspects of the topic, highlighting key findings and policy implications and laying out recommendations where applicable. 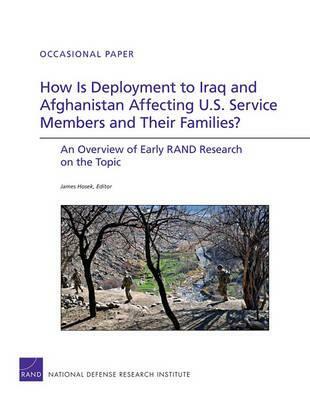 Brings together and summarizes the findings of six RAND studies that laid the groundwork for ongoing research on how deployment to Iraq and Afghanistan has affected service members and their families.